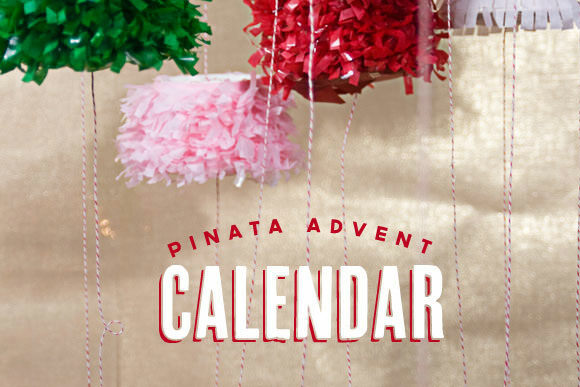 What could be cooler than counting down to Christmas by breaking open a pinata everyday? 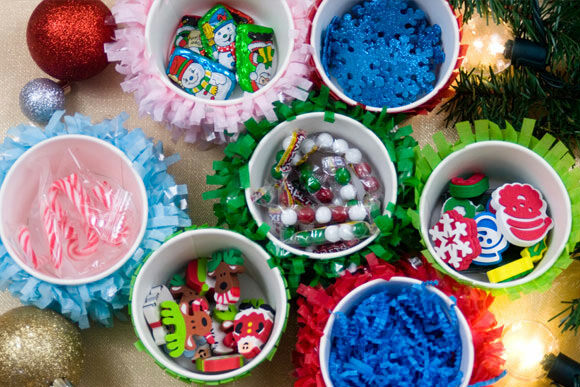 Get your kids in the holiday spirit with this fun & simple holiday craft tutorial from our newest contributor Sara Schmutz, founder of uber-cool party shop Confetti Sunshine. 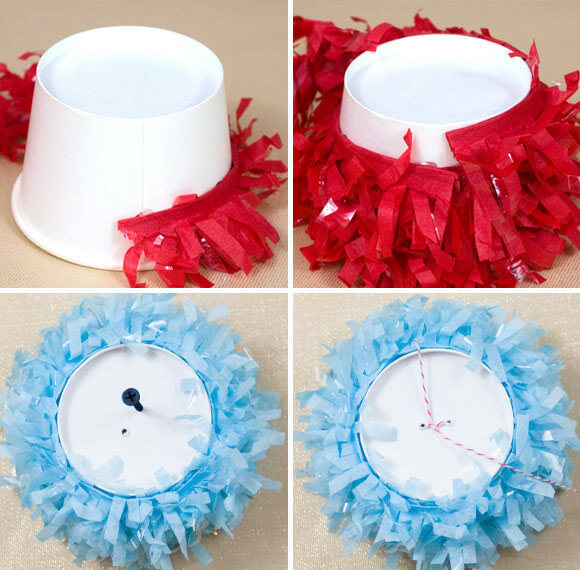 Glue fringe onto paper cups. Next, punch two holes a the top of each piñata and thread & tie with twine. This is what you will use to hang the piñatas. 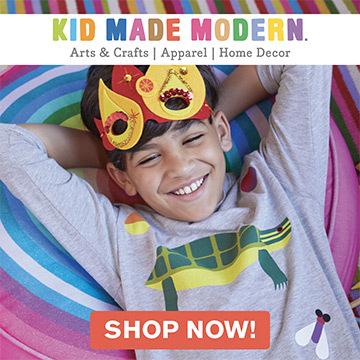 Turn the piñatas over and fill with an assortment of treats, games, toys and activities. Cut a 2-inch circle out of heavy card stock and a 4-inch circle out of tissue paper. Tie paper circle with a length of twine. Cut an “x” into the middle of the tissue paper circle. Next, place the paper circle in the piñata. Put the tissue circle on top and glue it around the ridge of the cup. 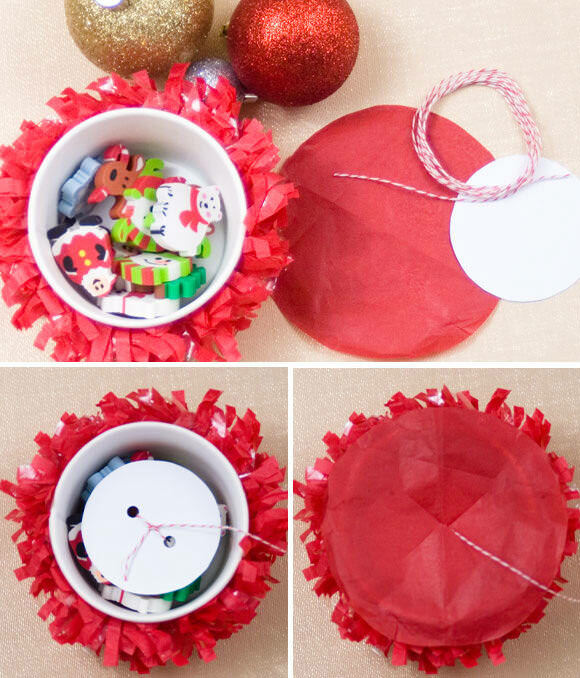 Be sure to pull the string that you tied to the paper circle through the “x” in the tissue paper. Once you’ve assembled your piñatas, it’s time to hang them up. Count down to Christmas each day by pulling the string at the bottom of the piñata to break it open for a festive surprise. This is amazing! I wish I had thought of it. Wow. What a truly fun advent calendar. Making 25 seems like a lot though. Never the less, an amazing idea! This is really cool! So much fun! This is such a fun idea! !